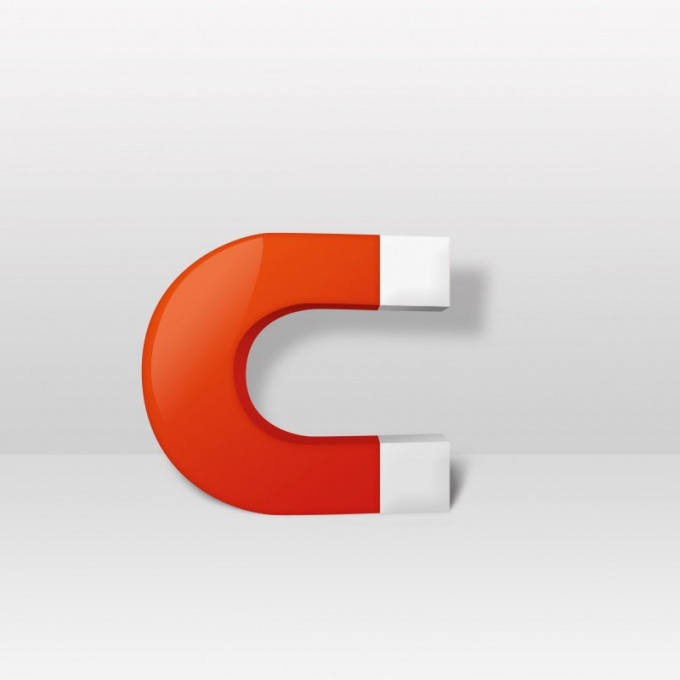 Electric magnet (electromagnet) is a device that acquires magnetic properties when connecting to a current source. It attracts ferromagnetic materials by the magnetic field. The electromagnet consists of a core and windings. Procurement of electrical steel cylindrical shape to wind the copper wire in an insulating sheath. Use the wire with diameter of about 1 mm. It has sufficient conductivity and gives the opportunity to reel a large number of turns on the core, which will strengthen the magnetmagnetic field. It will be a winding of the electric magnet. To improve the effect, you can take the workpiece is u-shaped. Assemble the electric circuit of series-connected current source, the winding of electromagnetand a resistance box or rheostat to adjust the current in the circuit. Use a constant current source with electromotive force of 24 volts. If it is possible to adjust the voltage directly on the power source, the rheostat in the circuit do not turn on. For controlling the current in the circuit, use a tester. Switch it in series with the electromagnetOhm. Set the control source or the variable resistor so that the voltage was minimal. Then the current in the winding of the electromagnetand will have a safe value. Slowly start to increase the voltage. The current flowing through the winding of the electromagneta, will proportionally increase. For copper wire with a diameter of 1 mm the maximum safe current is 6 amps. If the current exceeds this value, the winding of the electromagnetand will burn out. When the current goes through the coil, the core will become a magnet. Bring to him a body of iron or its alloy (steel, cast iron, etc.). It will pull the object to the base cylinder electrical steel (nickle magnet). If the force of attraction is small, increase the number of turns in the winding of the electromagnet. To do this, wrap the wire core of greater length. Note, however, that its resistance will increase in proportion to the length. When you reattach the electromagnetand bring the value of the current to the rated value. After disconnecting the electric current the magnetnye the properties of the core will be lost.